New construction is a trip. I often liken it to herding cats. From a design standpoint, I’m going after specifics, and the construction world functions better on generalities. Thank goodness for processes that help me ride out the curves and navigate when we hit a dead end. 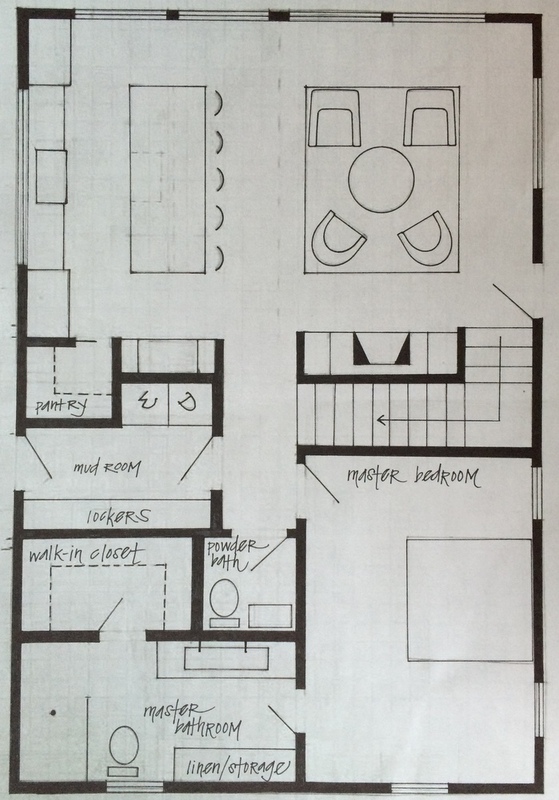 When we talked last, I had shared our plans for our new kitchen and bathrooms. Soft furnishings haven’t been the focus. Cabinetry, windows, and lighting are the focus, and that process is ongoing. Here’s the reality: once I pick my specifics, often times getting them is the challenge. I never know when I specify something if the manufacturers have it. Right now I’m ordering the mirrors for my bathrooms and their supporting features: the lights. 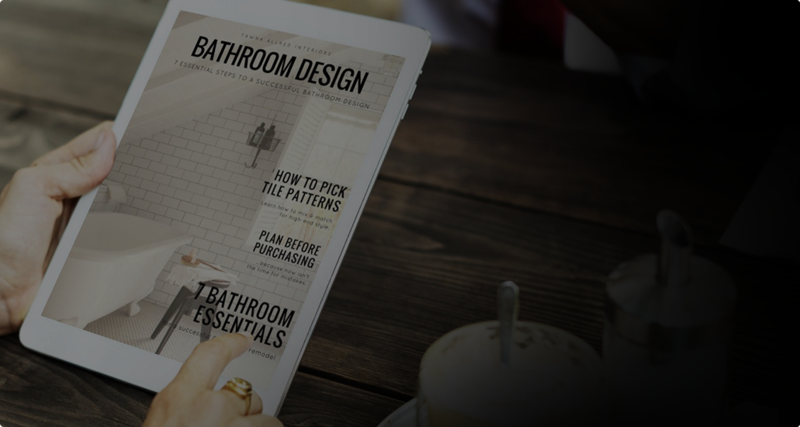 I was in love with my master bathroom design, but the mirrors were out of stock when I went to order them…never to return. That put me back at square one. 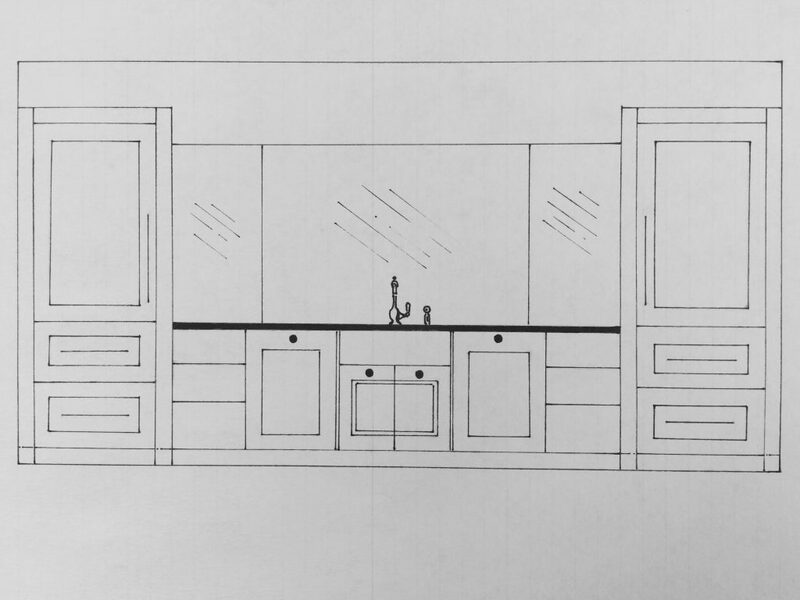 It’s more common than not in my line of work, so although I was disappointed, I’ve been working on plan B. I’m still nailing down the details for my master bathroom. I think I’m close and will hopefully have mirrors secured by next week. When they are a slam dunk, I’ll be sharing the details. In the meantime, Dave and I are working out our electrical plan. During our discussions, I decided I did want two ovens in my kitchen, so I had to rework my island cabinetry. The layout will stay the same. Here’s the floor plan for a refresher. Dave was never a fan of the island legs in the previous design. They became impossible to use with two ovens, so they are now gone. Dave didn’t mind! This was a tough decision. I told you that the island was probably the most important feature in this house, and that is still the case. I’ve been grappling with how I can create a beautiful focal point when I have to go back to the regular, toe-kick-style option. Not only did it need to have a WOW factor, but it had to be a restrained to keep the minimalist, clean vibe I am pushing for. Minimalist and wow factor? Does that even go together? I think it can. This is how I did it. The top drawing shows the side of the island that faces the sink. I pushed a wall oven to each side, and the cooktop is in the middle. The drawers will hold pots, pans, and baking sheets. I am still planning on making the island black with black granite on the top. (I will always and forever love chopping directly on my counter). It’s still very important to me that the island looks like one piece of furniture. I like the idea of the black cooktop blending into the countertop. To satisfy my need for “legs”, the face frame of the cabinet will come down in front of the toe kick. It’s a small detail that will make a big difference. The art comes on the other side. This is the side that faces the living room. Behind glass (glass style yet to be determined) there will be shelves displaying my less-used dishes. I’ve always loved open shelves in kitchens…especially farmhouse kitchens. The dishes will be exclusively white or a light wood so they pop against the black island. This gives the island interest, a homey farmhouse feeling, and still allows me to keep things minimal and modern. But wait! Isn’t that where you sit, you may be wondering? Yes, it is. But I promise to find counter stools that work well with the display. OR, we may turn our living room into an ultra-comfy dining room that accommodates company. I’m not sure yet how this is going to play out. This is one of the challenges of a small house, and I love it! I wouldn’t have it any other way. There may be one more thing you’re wondering. Why didn’t I stick a double oven in one of the cabinets flanking the kitchen window? That seemed like the obvious solution, and one my husband pushed for. But somehow I couldn’t shake how disruptive it would feel. 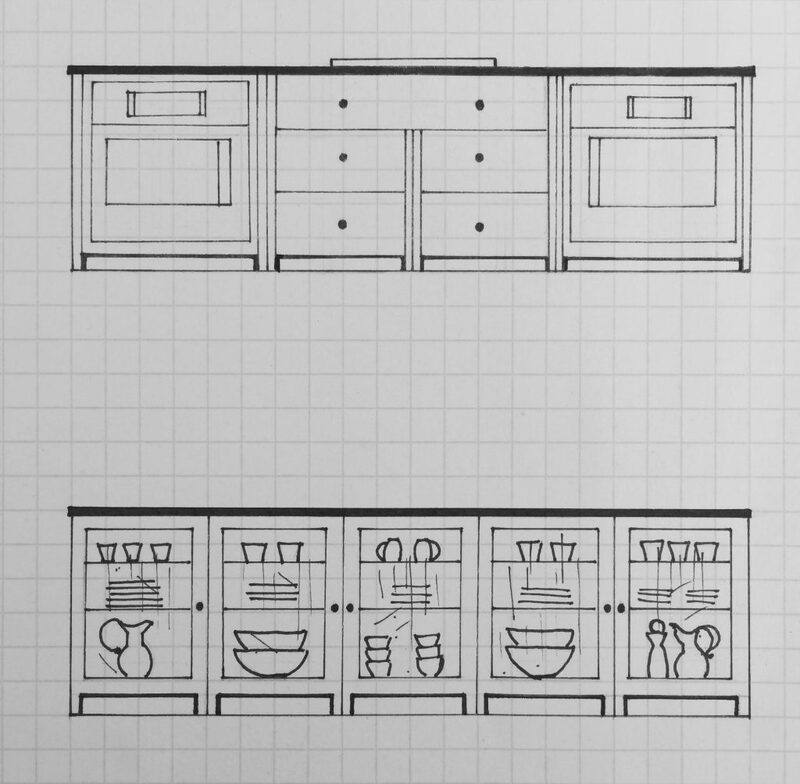 You can’t see the fridge in these drawings, but it would have balanced out the ovens if I had put them on the right. But I needed quiet symmetry around my window. I still want the focus to be the outdoors, and the ovens would have detracted from the view. These cabinets remain as they are. They’ll be painted the same white as the walls to blend in and support the view of the window. Just for fun, which version of the island did you like better? With legs or without plus a dishes display? It won’t change what we are doing, but I think it’s fun to hear your thoughts. As far as construction goes, an unusually mild fall let us get the structure framed. We’re so thankful for that! It’s not completely dried in, but we got further than we thought we would. We’re waiting for windows which will arrive in the middle of December. Follow along on Instagram to see photos. I’ll share more photos on the blog as we progress.